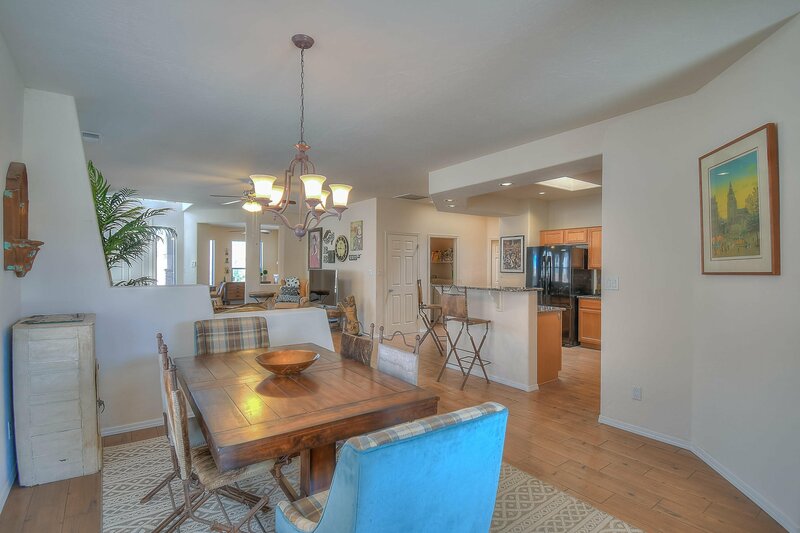 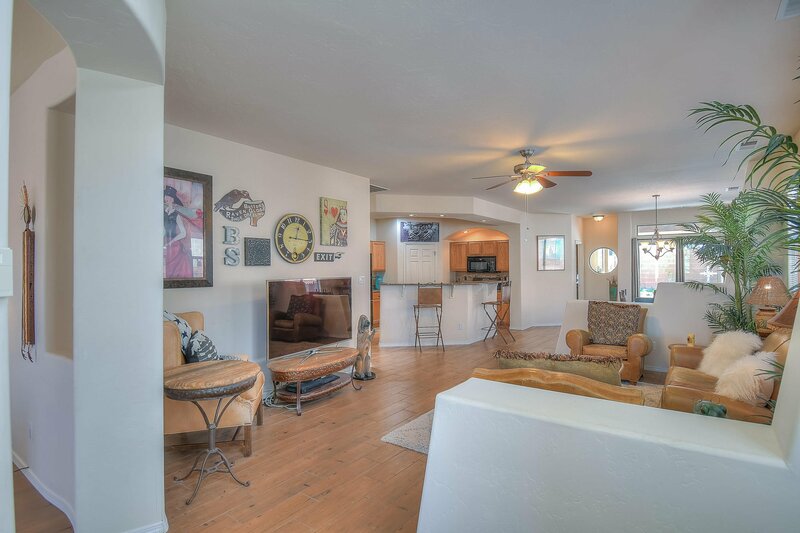 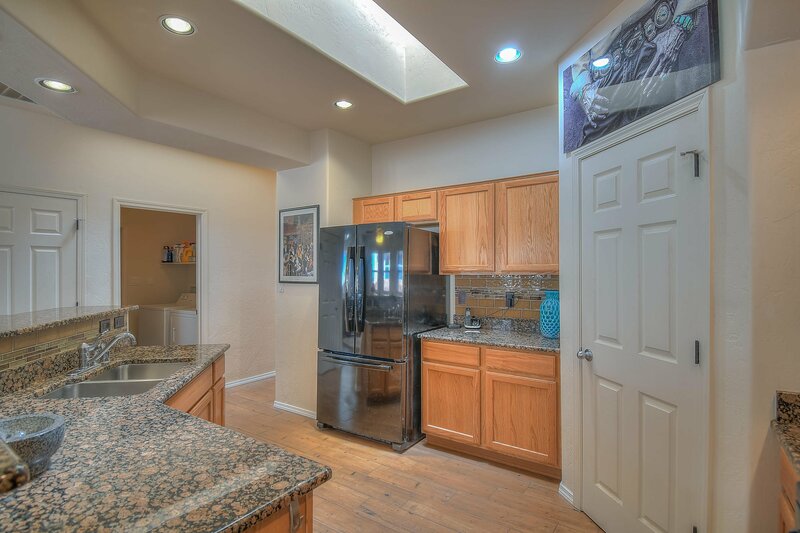 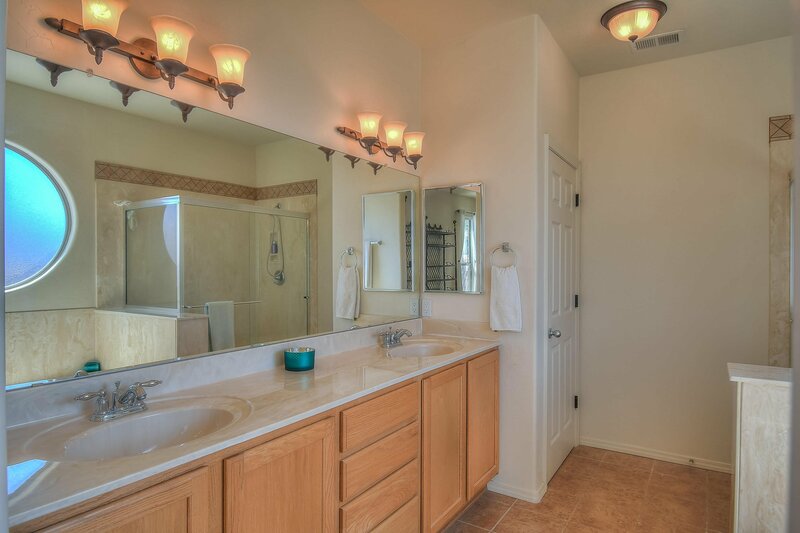 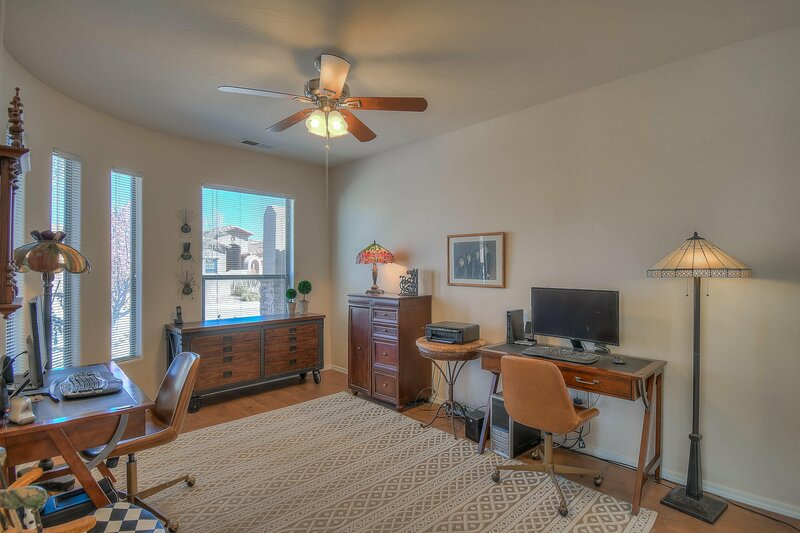 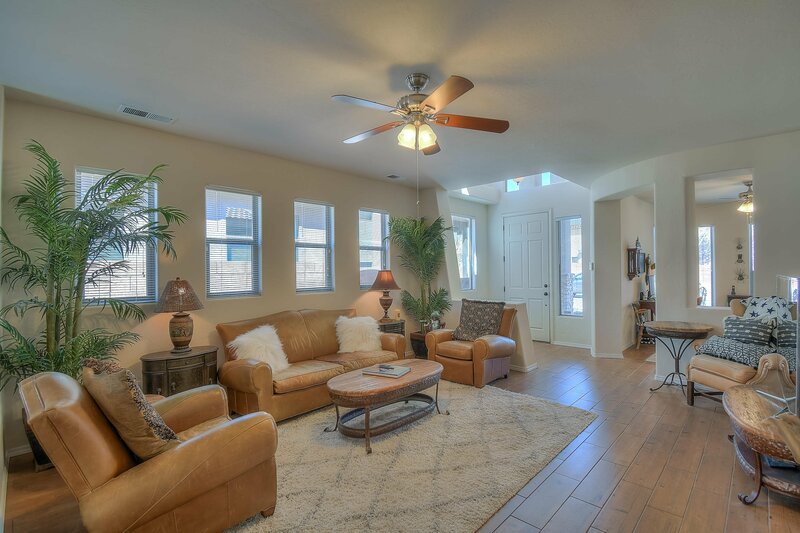 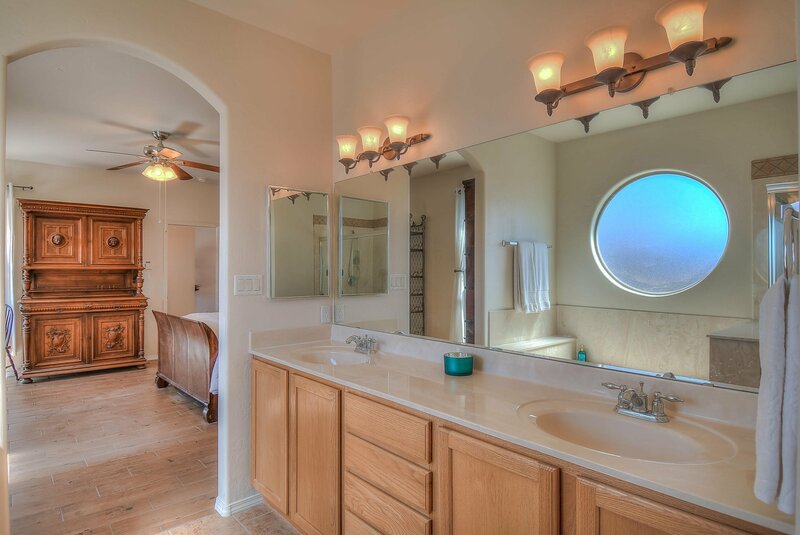 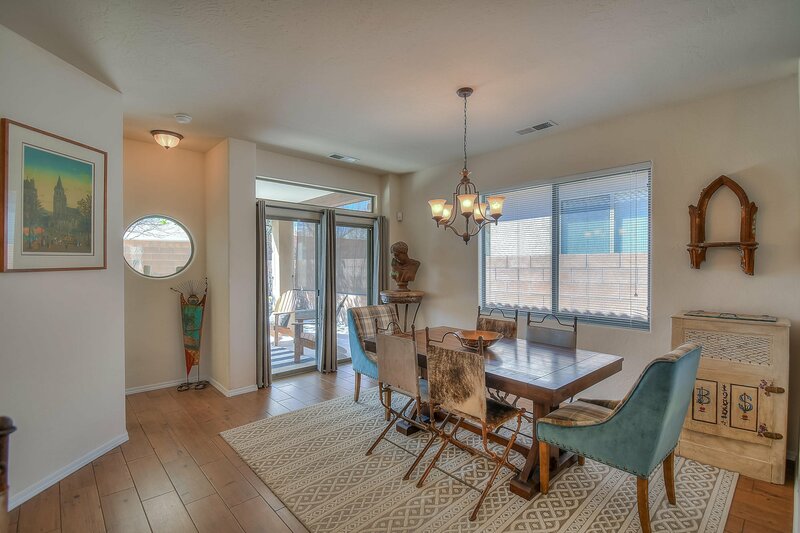 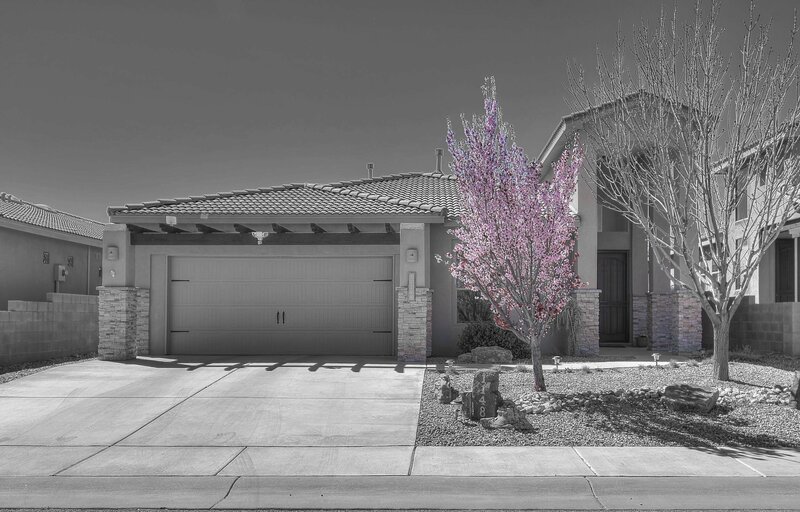 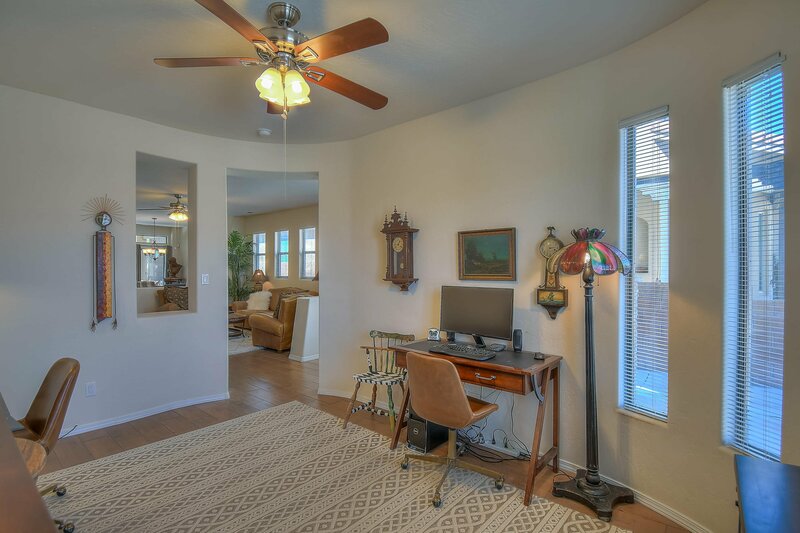 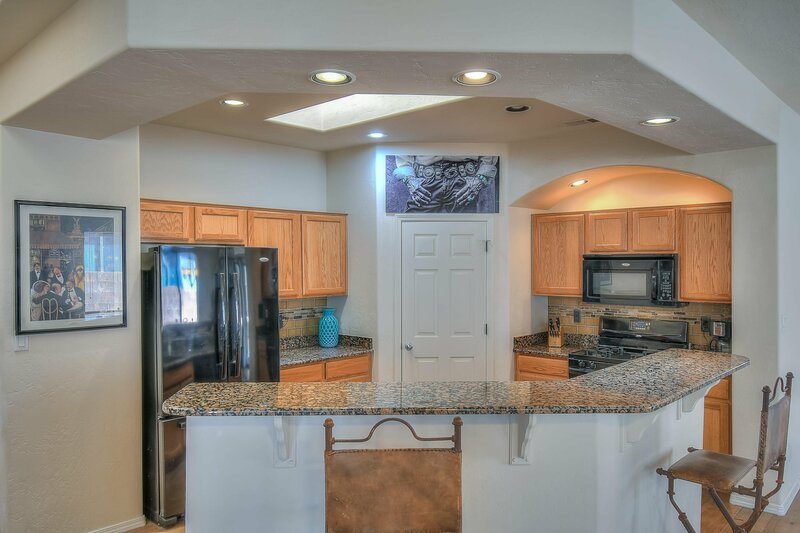 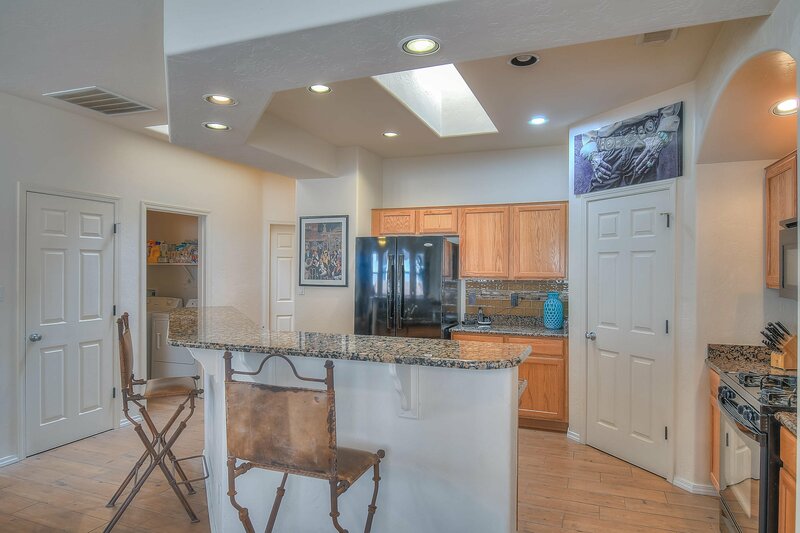 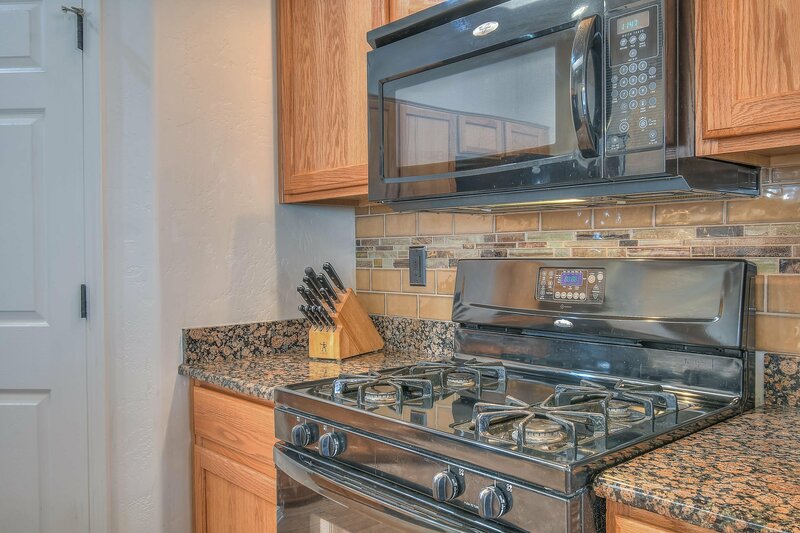 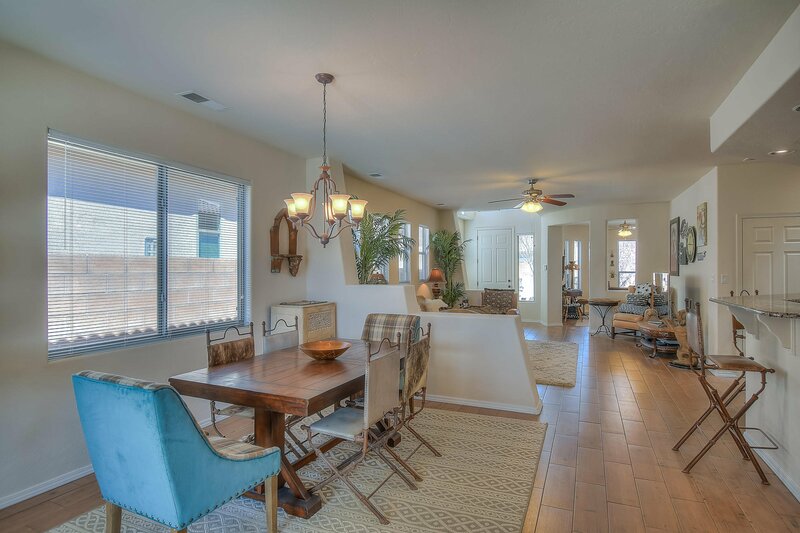 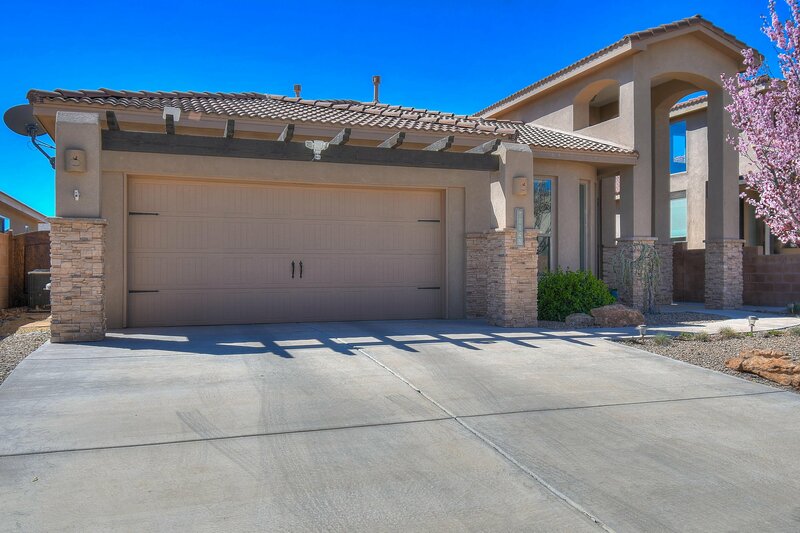 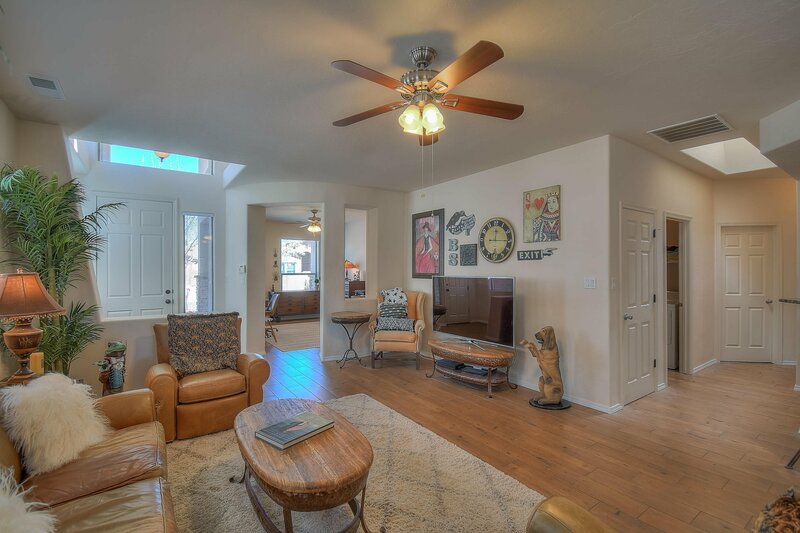 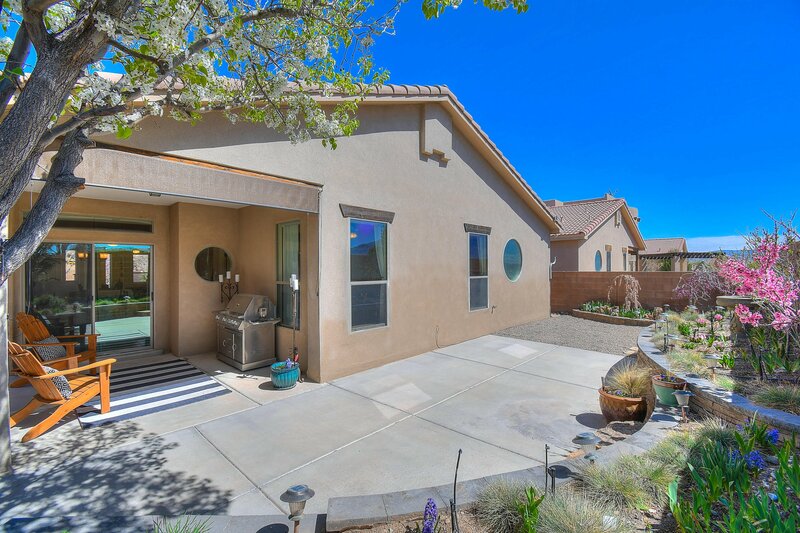 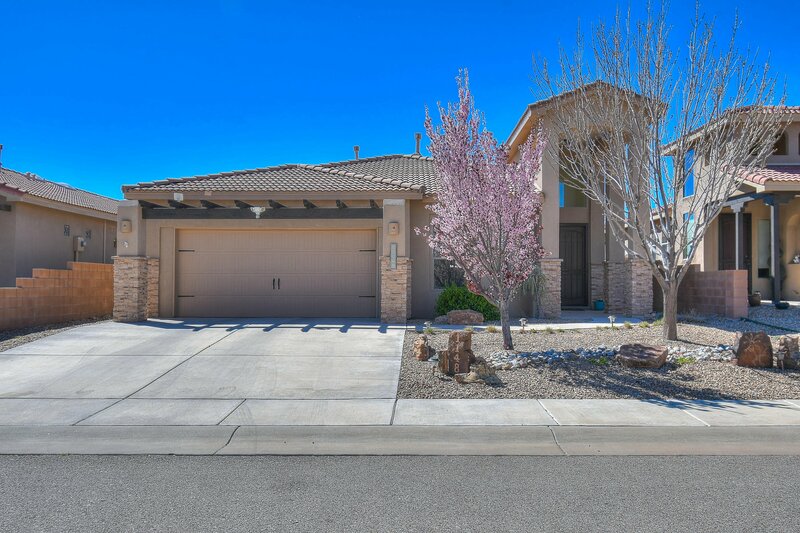 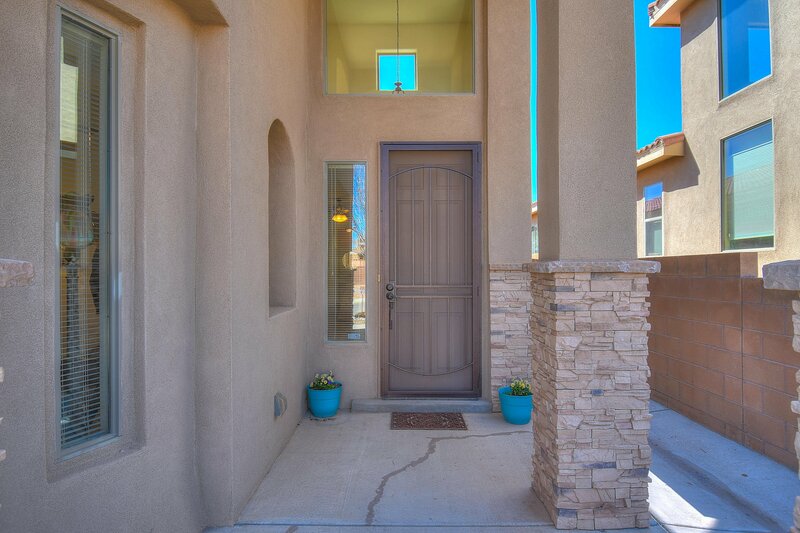 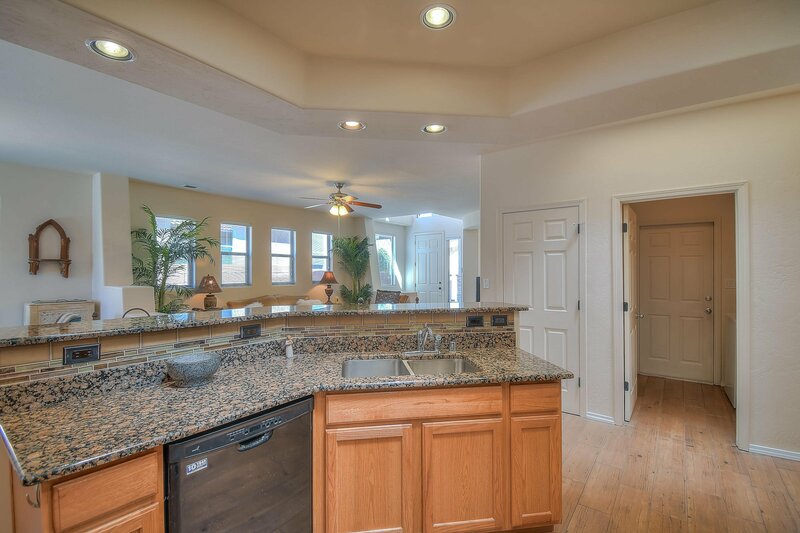 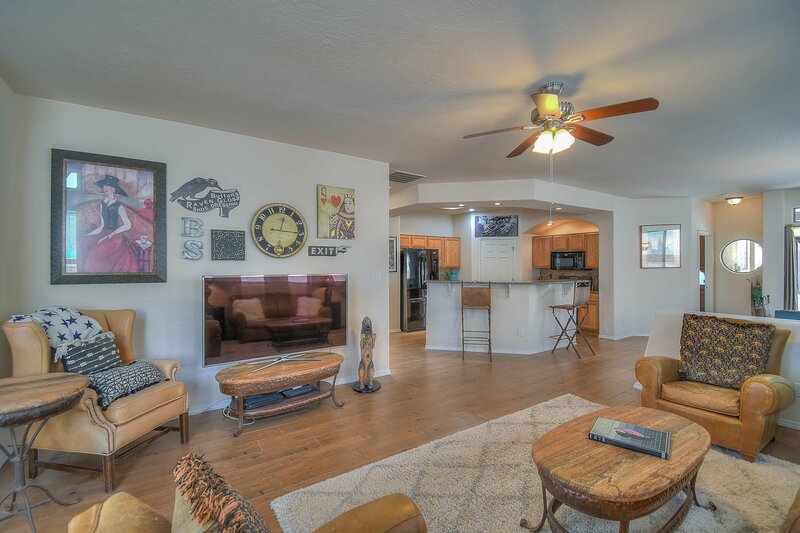 Truly beautiful home located close to the the Bosque, golfing, shopping, and dining. 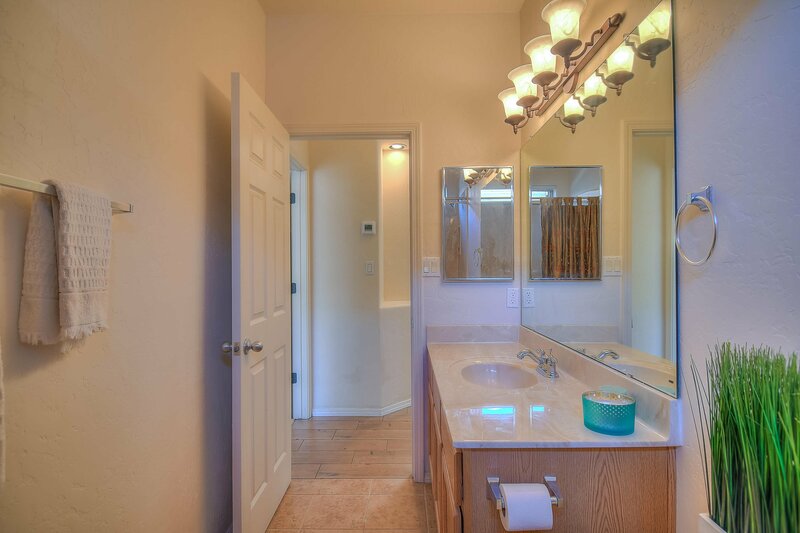 The home features new ceramic tile ''wood'' floors. 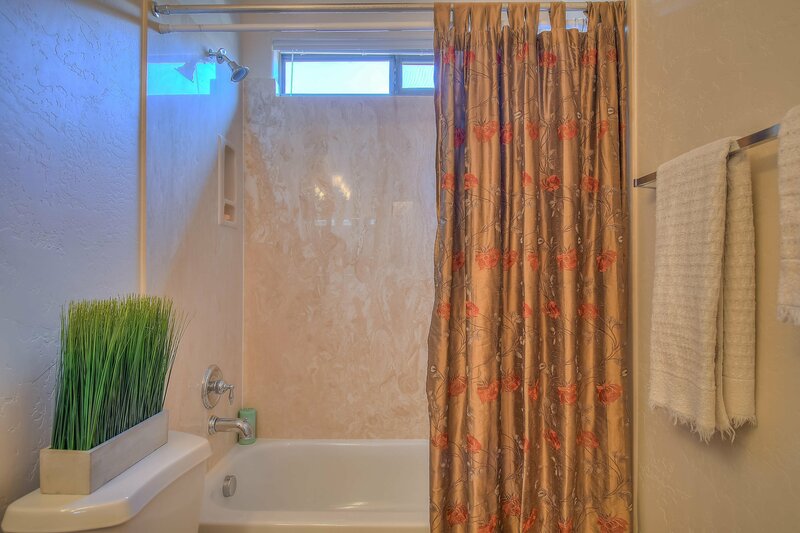 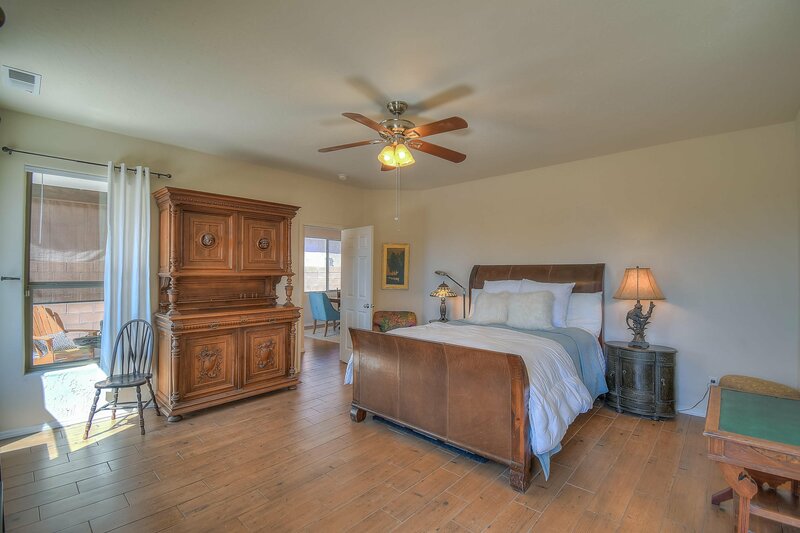 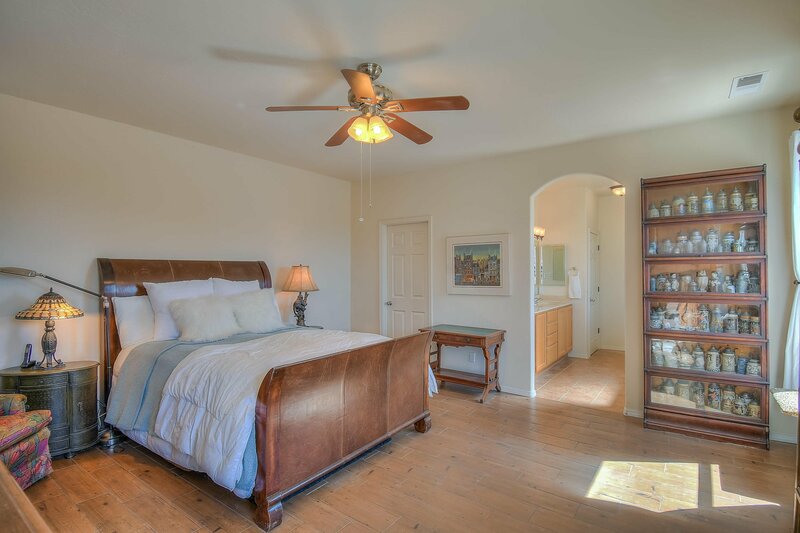 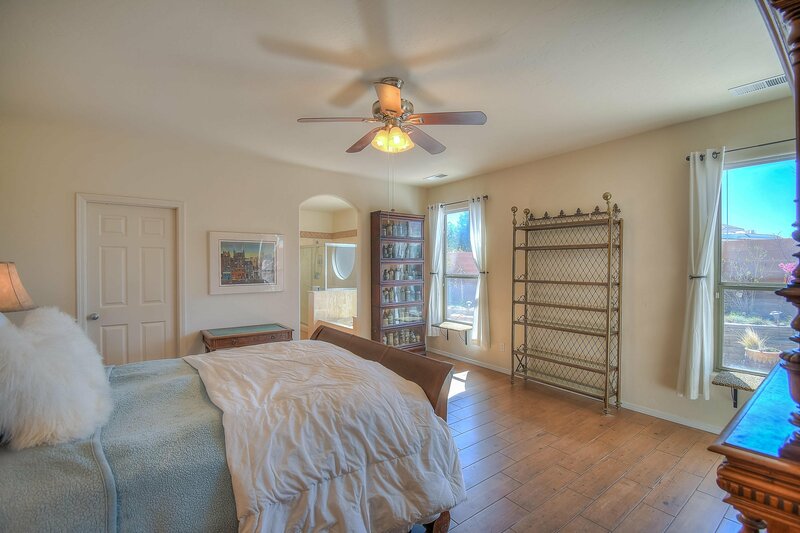 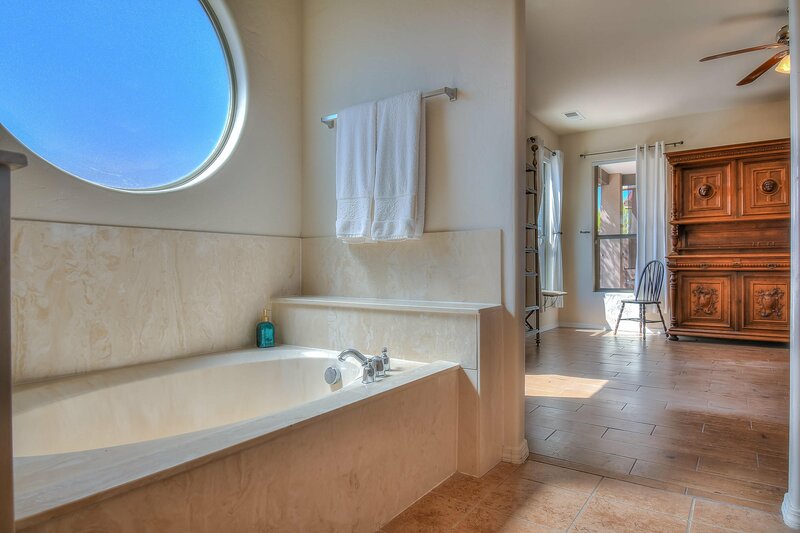 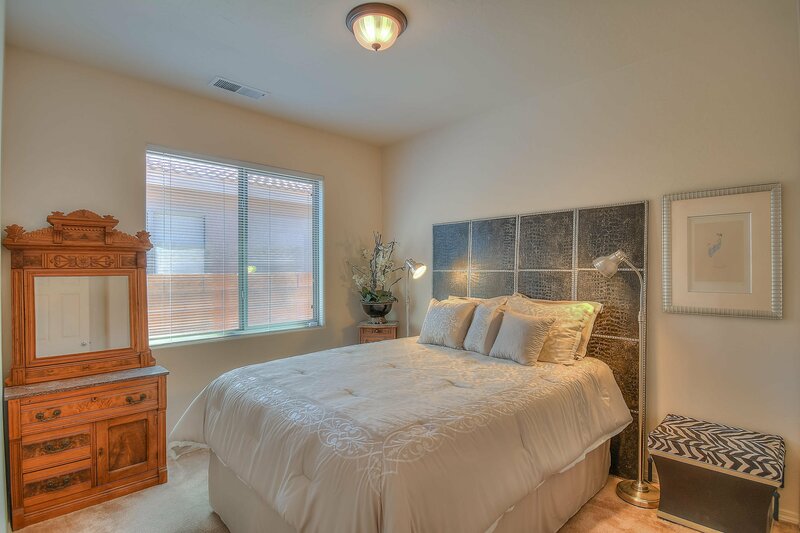 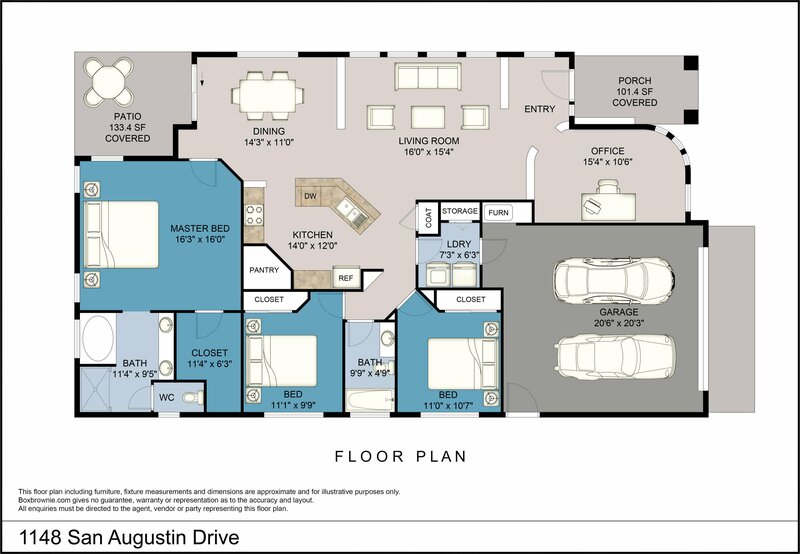 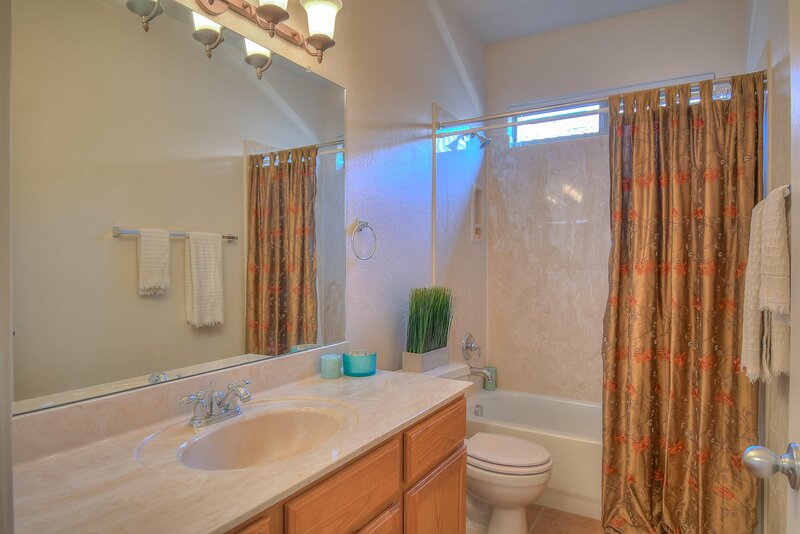 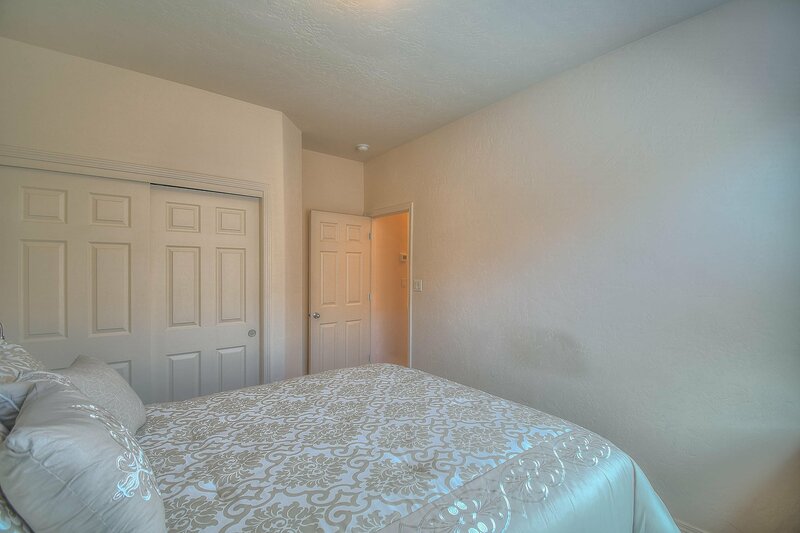 The master suite has a custom California Closet system and an en suite bath with an oversized shower and a garden tub. 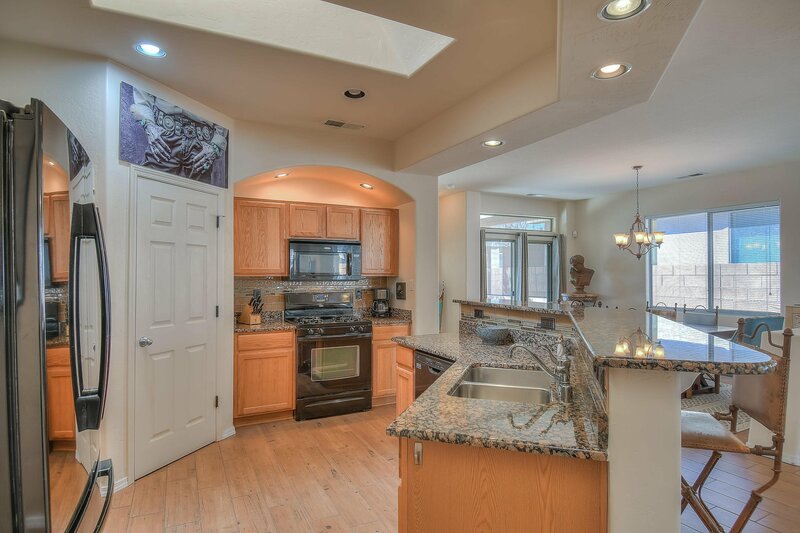 The kitchen boasts granite counters, and custom pull outs in the cabinets, it opens into the dining and living rooms for a great entertaining space. 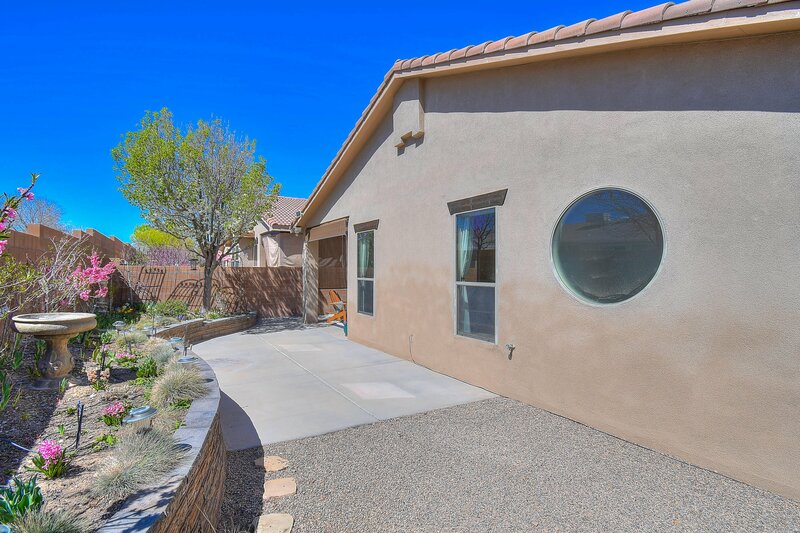 This home has 3 bedrooms with the possibility of a 4th with the flex/office space.Outside living will be a joy at this home. 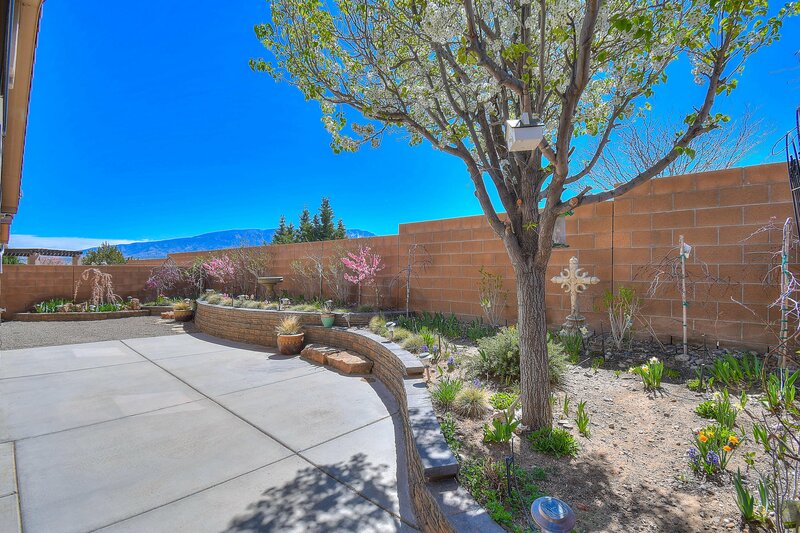 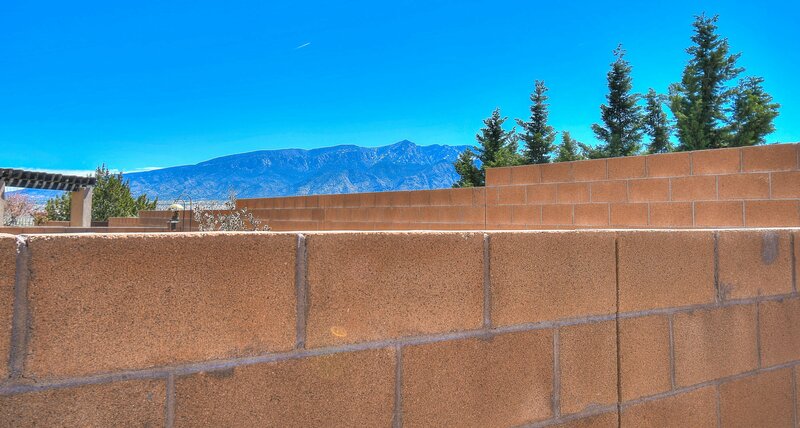 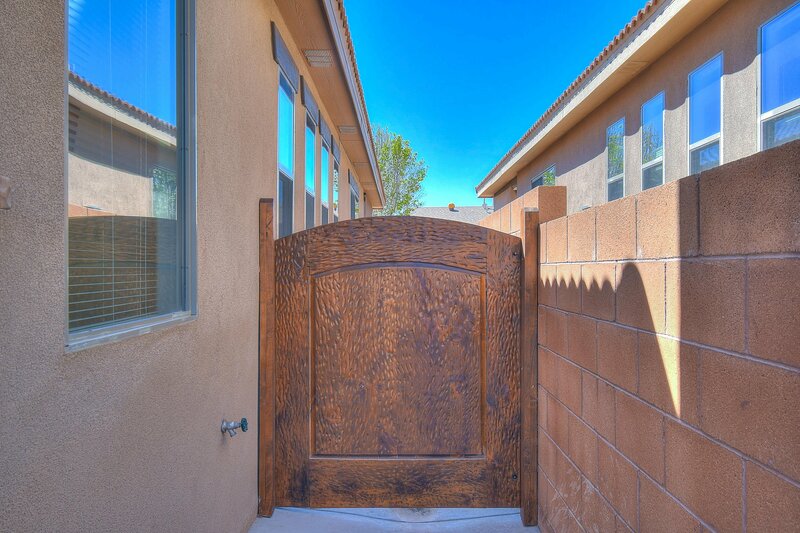 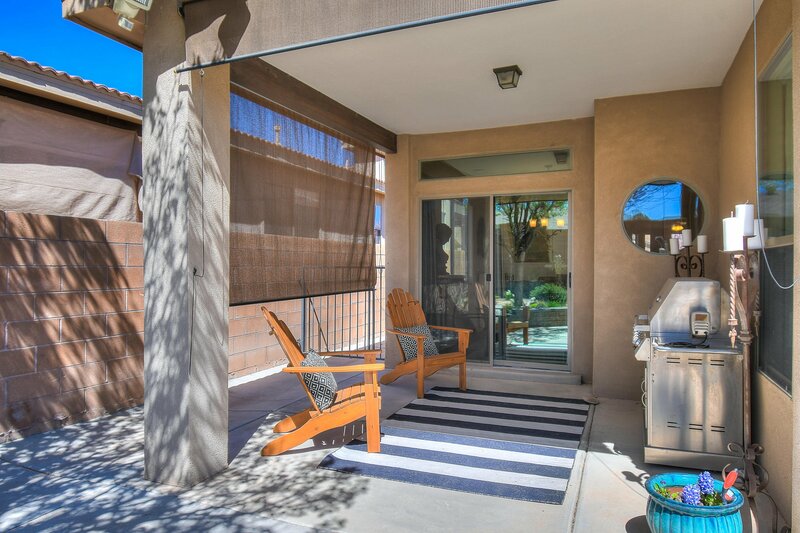 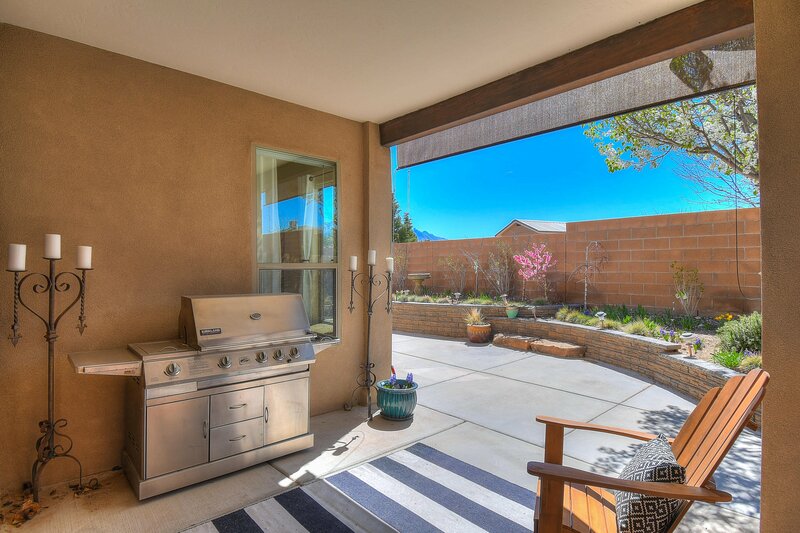 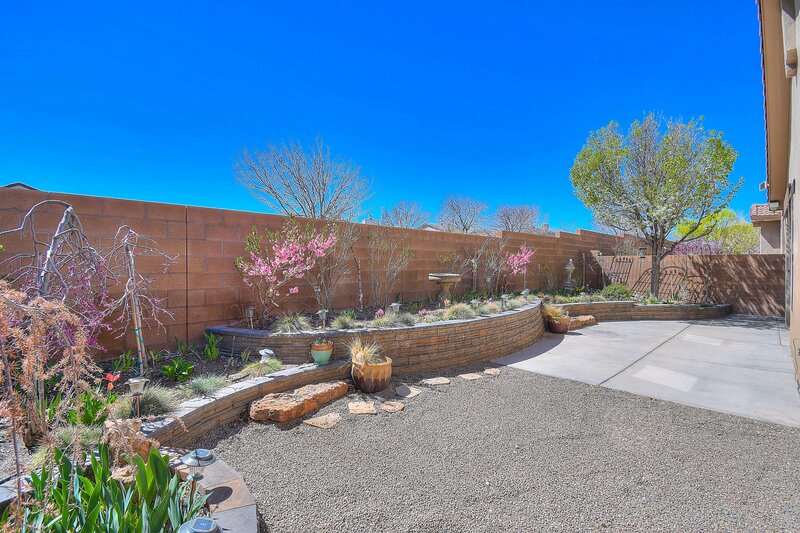 The backyard is beautifully landscaped with a raised garden and is a great outdoor living area with a covered patio. 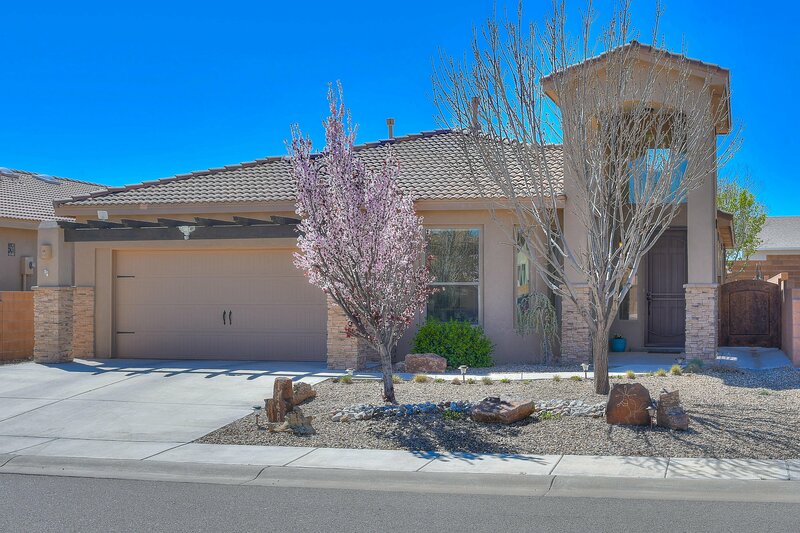 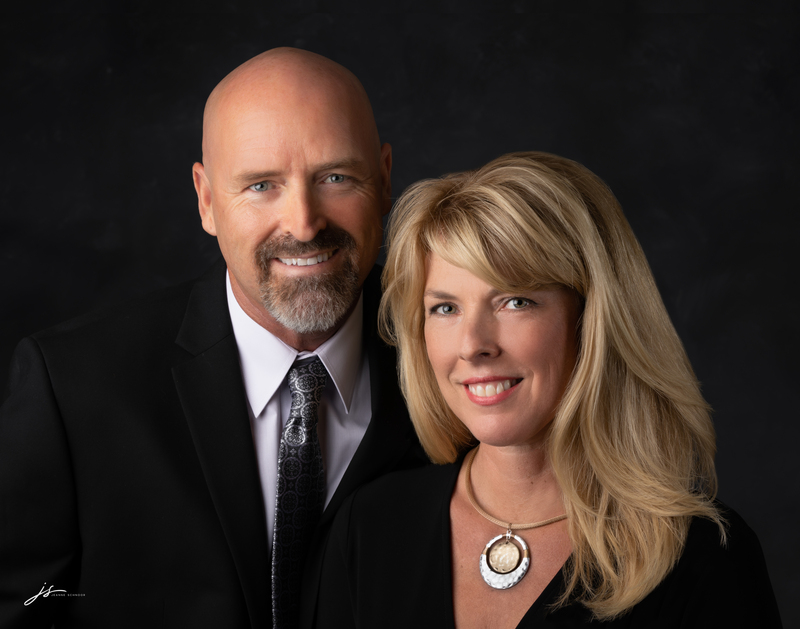 Call your agent today before you miss this great home!